We read with great interest the article entitled: “Safety of outpatient admission and comparison of different surgical techniques in adult tonsillectomy” by Sancaktar et al. . The authors compared length of stay (LOS) in hospital, re-admissions after discharge, complications and interventions performed after adult tonsillectomy between different surgical technique including cold dissection, “hot” techniques (bipolar scissors and plasma blade). 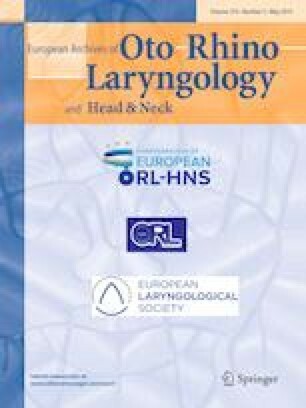 The authors found that in patients where hot techniques (bipolar scissors, plasma blade) were used and in patients with complaints in the first 24 h postoperatively, significantly increased rates of elongated LOS values for more than 1 day were determined. Then they concluded that cold dissection seems to be more advisable than hot techniques for outpatient tonsillectomy among adult patients. Although this is excellent study, this study had some potential confounding factors and the sample size is small. This comment refers to the article available at: https://doi.org/10.1007/s00405-019-05334-7. Zhengcai Lou declares that he has no conflict of interest; Kan-Feng Jin declares that he has no conflict of interest.